Even in supposedly liberal societies women remain systematically disadvantaged in what is expected of them, how their contributions are evaluated, and what they are taken to deserve. One of the more obvious signs and consequences of this injustice is the gender income gap - that men tend to earn much more over their lives than women do. We should stop dithering and just end this. A great many people, including some feminist critics of the gender income gap, focus entirely on fairness in the labour market, the important but inadequate ideal of the equal treatment of equals. Yes, employers and other employees still treat women differently than men just because they are women, and they really shouldn't. But we should not lose sight of the larger issue of justice, whether our social institutions actually provide men and women with equality of opportunities. Why shouldn't the fact that there are fewer women in full-time year round employment be included in the analysis? Why assume that gender injustice starts in the labour market? Is it really irrelevant to wonder why women work so many fewer paid hours than men? Or why most of those who do work are clustered in a relative handful of 'feminine' occupations? The trouble with fairness is that it is concerned with the proper administration of our existing institutions. The kinds of problems it identifies can therefore only be superficial and obvious - to do with individual behaviour. Women's economic inequality thus has two possible explanations. Either it is the result of malfeasance by employers, i.e. acts of discrimination, to be dealt with by lawsuits and collective moral exhortation. (Here the most women's rights activists can do is try to expand the definition of managerial responsibility to include a corporation's 'culture'.) Or, where evidence of employer discrimination is lacking, it must be that inequality is actually the result of fair treatment because women simply prefer different working patterns to men. In which case it is up to women to change themselves by 'leaning in' or whatever. A focus on labour market fairness forecloses deeper challenges to how our society treats women. For if our main concern is that our institutions should treat equals as equals we must be pretty confident that those institutions themselves are good ones. Fairness means that everyone should play by the rules; no one may question the fairness of the rules. This is the standard conservative position in any debate, and it is not hard to see why [previously]. Fairness! is the traditional cry of the right, not the left, whether it be about illegal immigrants taking our birthright - our jobs, houses, parking spots and so on - or poor sick people making us pay for their bad choices in life. Much of the right wing media's output, from Fox News to the Daily Mail, seems to consist of whining about unfairness, the loss of what one has the right to expect, that is, of privilege. What is surprising, and rather depressing, is quite how many people, especially young people who usually tend to idealism - hope and change and all that - are instinctive conservatives when it comes to gender. If our society's institutions are just then the equal freedom and dignity of women (and ethnic minorities, come to that) is already fully respected. So long as the market for labour is left to operate by its own logic everyone will get more or less what they deserve in life. If this is the case, demands for economic justice for women, or anyone else, can only be one of two things. Either they are merely nonsensical - like someone with a sundial trying to tell people with a perfectly good watch what the time really is. Or else they are simply rhetorical cover for one social faction to hijack the political system to transfer other people's well-earned money to their pockets. Any such redistributive programme is unjust by definition: it unpicks the results of men and women's free choices, like a referee who changes the result of a soccer match after the game has been played to suit his own preferences about how the goals should be allocated. Outrageous! Phillips is one more in a long line of feminist critics, like Mary Wollstonecraft, JS Mill, and Simone de Beauvoir, who argue that women cannot be judged on their achievements because they haven't had the same access to the spaces - such as the labour market - in which the merit of individuals' contributions to society are measured and rewarded. The claim that all those obstacles are history is hard to believe. We see so much take up by women of certain new opportunities, such as university degrees, and yet such slow progress in their economic equality, and the other things related to that, such as their representation in the upper management of large bureaucracies and formal politics. Explaining this by reference to women's supposed preference for care work over paid work simply begs the question. "But women do choose for themselves", the justifiers and enablers of the status quo point out, "and it isn't up to us to choose for them!" This misunderstands the equality critique, but also and more basically what choices mean. Of course women make personal choices and trade-offs in their lives, like any other rational agent, whether they live in Saudi Arabia or Nepal or Australia. But the choices people make and the bargains they strike with others - such as with their spouse about who should go to work and who should look after the kids - reflect not only their own desires, values and aspirations, which deserve to be respected, but also their constraints, which may deserve to be criticised and removed. The fact is that women around the world, though more so in rural Iran and less so in New York City, still find themselves with option sets inferior to those of men. People reconcile themselves to the structural constraints on their decision-making all the time. We have to or we'd never be able to get on with living our lives. We make the best of the options we have, and strike bargains that make us better off than we would have been, however unequal we remain. But women's reconciliation with the hard facts of sexist institutions and values hardly counts as an endorsement of the justice of their relative bargaining position or its outcome. Rational private choices can co-exist quite comfortably with gross injustice and are no indicator in themselves of equality of opportunities. Our history has bequeathed us a gender injustice complex of interlocking and mutually reinforcing institutional arrangements and moral values that altogether make women less economically valued than men. Most notable is the bundle of moral expectations we hold about what can be demanded of women but not men in terms of the unpaid care of children, the disabled and the elderly. Care work is particularly significant to the feminist case because it is obviously socially valuable work that is nonetheless economically undervalued. So long as it takes place outside the market this work is officially worthless. It is not rewarded with claims on the labour of other people - money - that all those employed receive, even if their job is selling cigarettes or landmines. As women's association with care shows, even if you try to concern yourself with fairness alone you won't get very far without a deeper understanding of gender injustice. Most discrimination in the labour market - which, recall, is supposed to be merely the misbehaviour of a few 'bad apples' - relates to the very stereotypes about femininity that are also supposed to explain women's disinterest in paid work. Because women are seen as mothers they get hired into 'mummy track' positions that lead nowhere. Because women are supposed to be caring and demure they receive career freezing performance evaluations if they cross gender boundaries by acting assertively, the very behaviour that gets men promoted. The outcome of the gender injustice complex is pretty clear. Women tend to earn much less than men. But this can't all be blamed on specific violations of fair treatment by specific agents. It may sometimes be possible to identify sexist pigs and chastise or even prosecute them for discrimination or other misbehaviour. But it is rather harder to condemn a university educated couple for agreeing between themselves to follow the traditional model of male breadwinner and female homemaker. Even if that decision is the rational result of women's unequal options and is replicated across millions of households. Equality of opportunities is a very basic idea that doesn't have anything to do with second-guessing what women really want. In fact it is supposed to be blind to their preferences. Whether women 'really' prefer being homemakers to being physicists or managers or surgeons is irrelevant. What is required is that if women had such preferences they would be free to act on them, or at least as free as men are. An important part of that is addressing women's systematic economic undervaluation by the labour market, the principle mechanism by which we identify, evaluate, and reward contributions to society. I propose reparations as a crude but effective device for doing so. It is true that various policies have been proposed, and sometimes even implemented, to directly address different pieces of the gender injustice complex, from quotas in boardrooms and the top management of public institutions to compulsory paternity leave. But such reforms struggle politically, not least because they seem to impose more unfairness - the unequal treatment of men and women because of their gender. A good many people, including many women, object to the incoherence of trying to solve the problem of 'discrimination' against women by creating more gender-based discrimination. (The conservative ideology of 'fairness' strikes again: two wrongs can't make a right.) More positive measures, such as providing free child-care facilities from tax revenues, are considered too expensive to fully implement without much greater political support. Finally, for all the political capital required to enact such policies, each can only have incremental effects anyway because they only address one piece of the puzzle at a time. My proposal is different. Rather than obsessing about finding clear evidence of specific discrimination practises or attempting the piecemeal dismantling of the gender injustice complex, we should start from the other end, with the fact of unjust economic outcomes. We should assume that men and women would earn the same aggregate amount unless there were some systematic constraints on women's decision-making relative to men. We should start by repairing the glaring problem of the gender income gap and then worry about addressing its causes. If you broaden the scope and look directly at how much women earn compared to men by including their much lower participation in full-time year round paid work, the size of the income gap in rich liberal countries jumps significantly from the 10-15% fairness gap to more like 30%. This is the real income gap. A reparations programme to repair and compensate for the effects of this injustice against women would work something like this. Step 1: Calculate the income gap for the previous year and divide by two. This is the amount that has gone missing from women's income without a proper explanation let alone justification. Step 2: Raise a tax equivalent to that amount from men using a progressively rising special income tax that kicks in above the median income for women (the gender income gap is particularly marked at the top of the income distribution range). Step 3: Divide this amount equally by the number of adult working age women in the country and distribute it via the tax/social security system. Every woman would receive this reparations payment automatically, whether or not they work. Result: the aggregate pay gap disappears. And without having to laboriously unstitch each individual strand of the gender injustice complex that produces it. Of course a real reparations programme would need to address complications such as how the payouts to women would interact with the means-tested social security system, whether to distinguish between wage income and financial income, whether to include pensions, etc. But it should be possible to retain its essential simplicity. 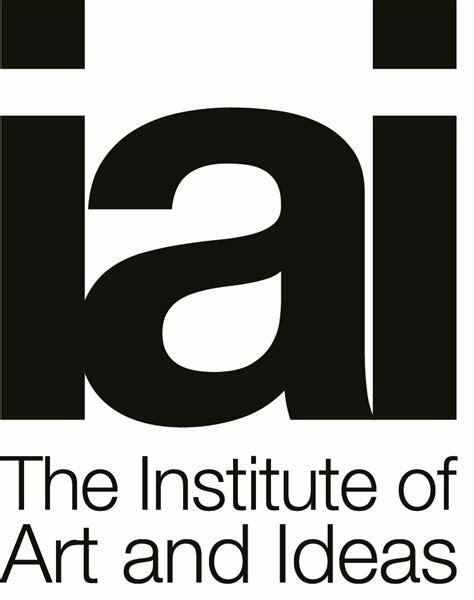 Before I move on I should note that in principle a similar reparations programme would also seem justified for ethnic minorities, such as African Americans or indigenous peoples like the Roma, who suffer like women from an institutionalised history of discrimination that makes claims about their equality of socio-economic opportunities fatuous. (On this, see Ta-Nehisi Coates' marvellous essay in The Atlantic.) Nevertheless there are several difficulties with such an extension. It seems less politically feasible because ethnic inequality is linked to social class in a way that gender isn't, and that undercuts the political solidarity required for such a dramatic policy. In addition, ethnic identities are less adjudicable than gender (e.g. is Barack Obama black or white - should he receive reparations or pay them?). So we would need a different model than taxing some individuals to fund payouts to others. Not only would reparations directly address the income gap produced by centuries (millennia?) of institutionalised discrimination. It would also make it easier to unstitch the gender injustice complex itself. For example, the reparations programme automatically adjusts the economic value of men relative to women. At present women are artificially expensive because they are not equal. The care burden of parenthood tends to fall on them and thus indirectly on companies that take the risk of hiring them (one reason women are over-represented in the public sector). The higher tax on employing men would instantly make them more expensive relative to women, which should counterbalance the motherhood costs/risks that companies face in hiring women that no law or policy has yet managed to completely address. Giving companies good economic reasons to hire more women is rather more likely to work than our earnest moral exhortations to treat them 'fairly', and is less obnoxious than alternatives like compulsory paternity leave. The reparations programme would also reach into the family, where many decisions about women's careers are made after rational and joint deliberation. It often makes economic sense to have a division of labour within a family, with one spouse specialising full-time in a professional career and the other specialising in caring for children and therefore working fewer hours in a non-career job. As the economist Gary Becker noted 30 years ago, decisions about the sexual division of labour are very sensitive to the perceived relative productivity of each party in care and paid work. Suppose that men and women are equally good at caring for children. If men's salaries tend to be a bit higher than women's, then a father's comparative advantage is to specialise in a career. The family's productivity is maximised because the same amount of childcare will get done but the family will be richer than if the father had stayed home and the mother had gone to work. Now suppose, as seems reasonable, that men and women vary somewhat in their aptitude for parenting so that in some families fathers are better at home-making than mothers; they can get more done in the same time. If the wage bonus for being a man is high enough, it will still be the case that the rational couple will decide that the father should go to work. This very pattern seems to be replicated in a great many modern families, showing how sensitive individual ‘preferences' for care-work can be to structural constraints. It follows, however, that the relative comparative advantages of men and women may be upset by a progressive tax on men's income. Families would no longer face have to accept a loss of income if fathers specialise in home-making. The decision about who stays home with the kids would then be more likely to be made on the basis of who is better suited to it. It might finally become economically rational for men to take up their rights to paternity leave and then become specialised as home-makers while women continue with their career-path jobs. The reparations programme has two additional advantages over other policies to advance gender justice. First, it is self-eliminating because the problem it seeks to address is also the metric on which it is based. Thus the unfairness which characterises it – the deliberately unequal treatment of men and women – is easier to justify than say affirmative action policies, which are suspected of creating and entrenching new forms of discrimination. Second, it should accelerate political progress on unravelling the gender injustice complex because all sides will now readily agree on the importance of reducing the underlying gender income gap. Men would have reasons beyond solidarity to grumble about gender injustice once it shows up in their pay packets too. And political parties would thus have political rather than merely moral incentives to deal with its underlying causes. The long tiresome process of chipping away at the sources of inequality in the workplace and in access to the workplace would finally make political sense, and even expensive policies like free universal child-care might come to seem affordable after all. We've been thinking about women's economic inequality the wrong way, distracted by the idea that unfairness must be produced by bad motives that are best addressed by cumulative moral exhortation, or something else equally cheap, like training young women to 'lean in'. If we all want gender equality then eventually, surely, it will just come about by itself. Well we've been waiting a long time for women's official equality to come true and it hasn't yet. That is not only because of active discrimination by people who haven't yet got the equal treatment message. Mostly, it is the outcome of a history of unjust gender norms and factual errors inscribed into our institutions that continue to limit women's freedom to become whatever they may want to be. A reparations programme would not solve that history. But it would at least repair the aggregate damage to women's economic power that results from it. 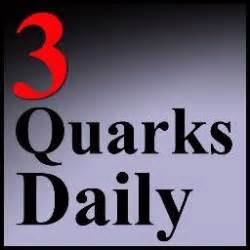 This is an extended and revised version of an essay originally published on 3 Quarks Daily.